NPR streamed “This Wild Willing” in full a week before release date. Listen here. Glen joined a host of musicians at Carnegie Hall for a celebration of Van Morrison as part of Michael Dorf’s Music Of series to raise money for Music Education. Filmed by Myles O’Reilly in Paris, France Edited by Glen Hansard in Dublin, Ireland Aida Shahghasemi filmed by Arash Nikazad in Tehran, Iran for ArtBox With special thanks to Francois Lecoq, Olivier Brandicourt, James Thiérrée, Máire Saaritsa, Chloe and all the students from the Ecole Lecoq, Stephen Patrick Allen and Steven O’Connor. Glen premiers the video for “I’ll be you, be me”. The video was shot in a former boxing ring, now La Grande Salle at the Jacques Lecoq International School of Theatre, Paris. 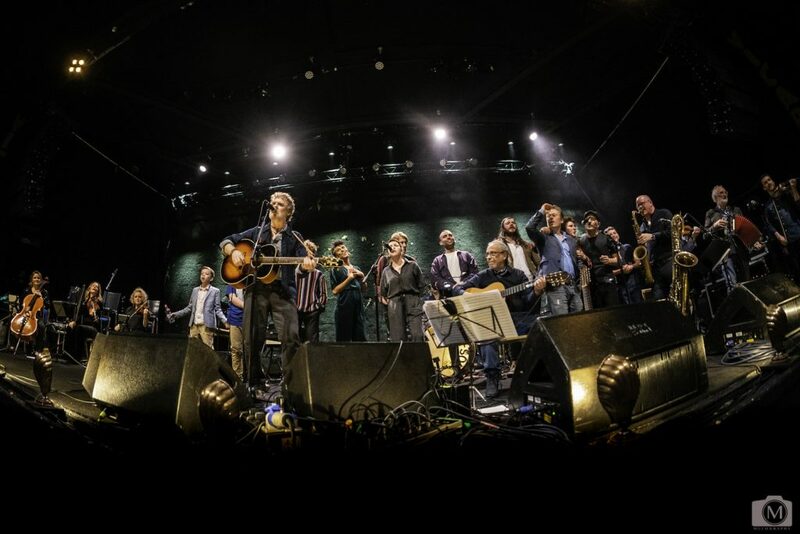 It was made in collaboration with François Lecoq, James Thiérrée, Olivier Brandicourt, Glen Hansard, Maire Saaritsa, Myles O’Reilly & Simon O’Neill – along with the students of the Lecoq School who generously gave their time and spirit to the project. Filmed at night on Jan the 13th & 14th 2019 by Myles O’Reilly and Simon O’Neill. 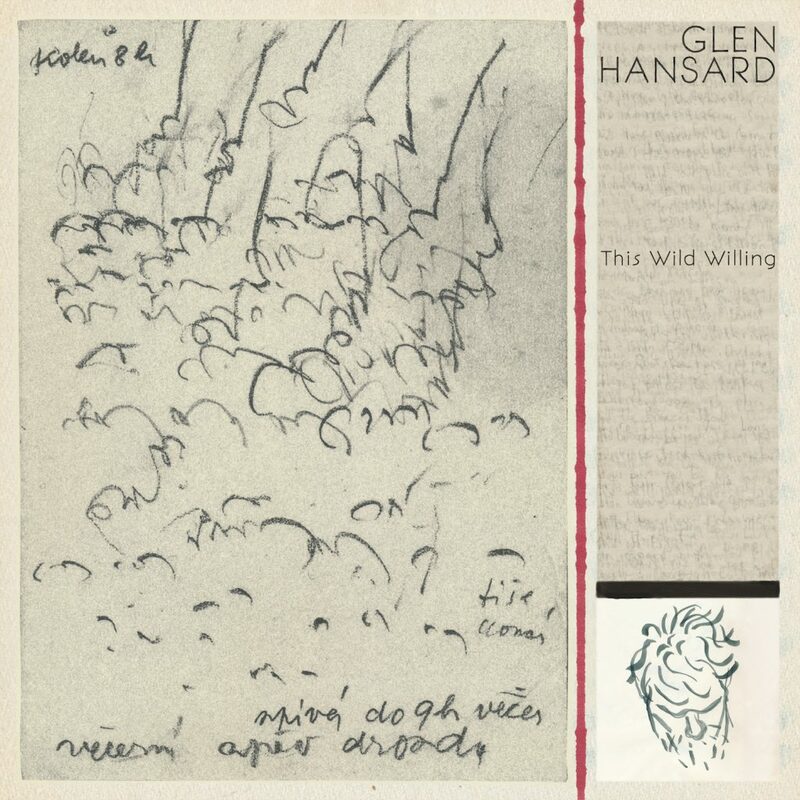 Edited by Glen Hansard and Myles O’Reilly. Lighting and Set Production – Francois Lecoq & Olivier Brandicourt. Rigging Jérome Dupin. 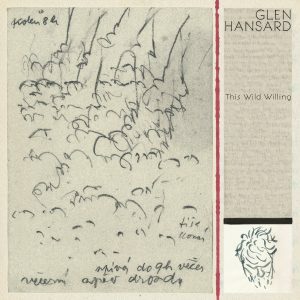 Glen announces his fourth solo album This Wild Willing due out April 12th on ANTI Records. Releases the first track “I’ll be you, be me”. Listen & Preorder links here. After a month in Paris putting the finishing touches to his next album and making videos to support it, Glen returns home to Dublin for his now annual Christmas time Homelessness charity fundraising shows. Glen is delighted to be asked to join the line up of musicians celebrating Joni Mitchell’s 75th birthday at the Dorothy Chandler Pavilion in LA. A film called “The Music Center Presents Joni 75: A Birthday Celebration” was made & a soundtrack will be released sometime in 2019. 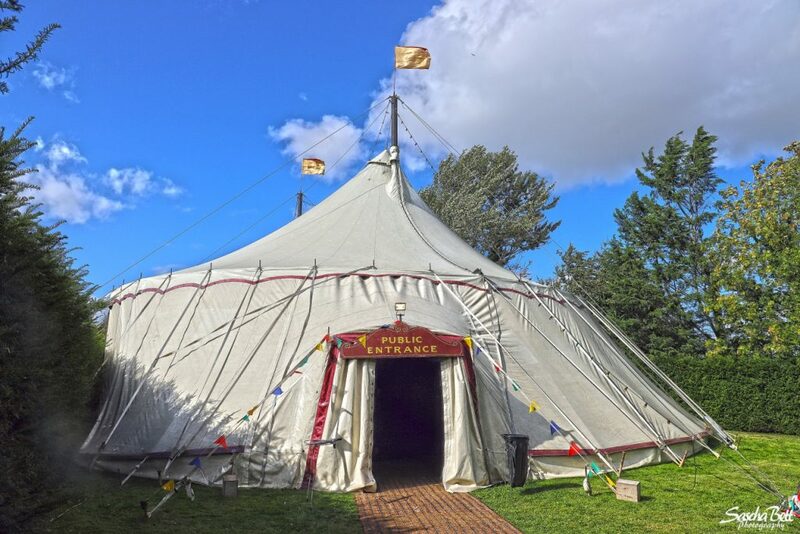 Glen joins his friends from The Footsbarn Travelling Theatre company – and embarks on 6 weeks of taking a circus tent around Ireland for theatre and musical performances. Those that had tickets got to see a host of bands curated by Glen alongside The Frames and even a rare Swell Season set at the end of the run. Watch this 2 minute piece about it on RTÉ News. 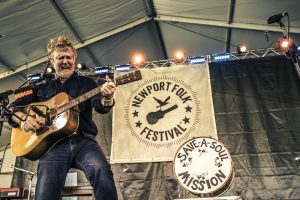 Happy to head back to Newport Folk Festival for a set. Photo by Anthony Mulcahy. 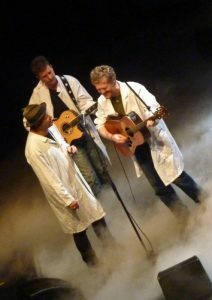 Glen returns to Black Box Studios in France with Producer and old Frames bandmate David Odlum, to continue work on new material. 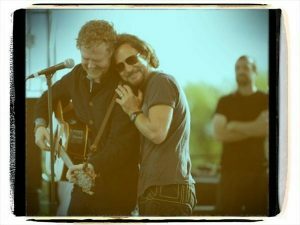 From touring the new record with his own band in the States, Glen travels south solo to join friend Eddie Vedder for some shows in Sao Paolo. Glen takes his band on the road in Europe for shows in support of Between Two Shores. A documentary film about the Camino journey Glen took with fellow irishmen Danny Sheehy, Liam Holden, Brendan Begley, & Breandán Moriarty is released. An Epic 2,500 km Modern Day Celtic Odyssey – A crew including a Writer, two Musicians, an Artist and a Stonemason embark on the Camino by sea, in a traditional boat that they built themselves on an inspiring, and dangerous, 2,500 km modern day Celtic odyssey all the way from Ireland to Northern Spain. Read more here. Glen travels to France and enters Black Box Studios and in three weeks exits with Between Two Shores. A collection of material that spans that last six years, the record features new recordings, work from previous sessions and home recordings. 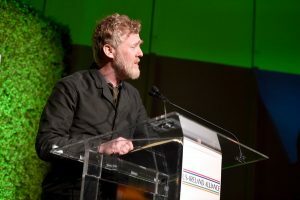 Glen is honored by the U.S.-lreland Alliance at its annual Oscar Wilde event. Held at JJ Abrams Bad Robot headquarters, Glen is introduced by friend and fan Cameron Crowe. Glen performs with Pete Holmes for “An Evening of Music and Laughter” at Largo in Los Angeles, CA. Glen performs 2 sold out nights at the Sydney Opera House in Australia. 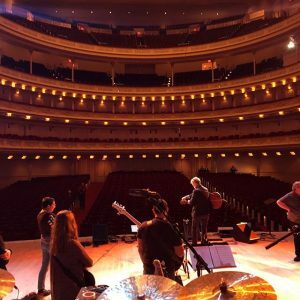 Glen makes his solo debut at the historic Carnegie Hall. 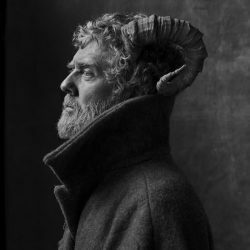 Playing to a sold out room, Glen is joined by John Sheahan the last living member of The Dubliners, poet Paul Muldoon, Marketa lrglova and Brendan Begley. 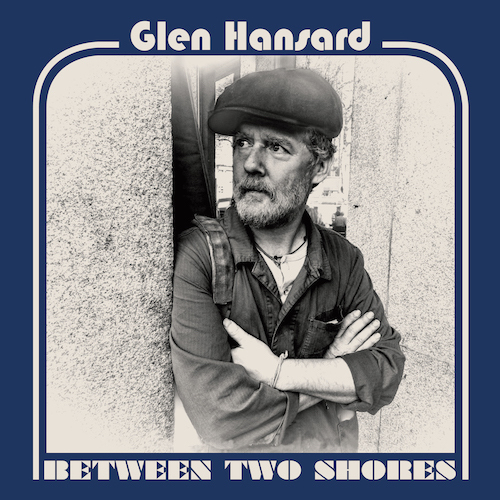 During July & August 2016 Glen performs at Montreux Jazz Festival, Newport Folk Festival and Cambridge Folk Festival as they went back to back. Glen embarks on Camino by Sea which greatly influences Between Two Shores. A journey by sea along the Spanish coast. 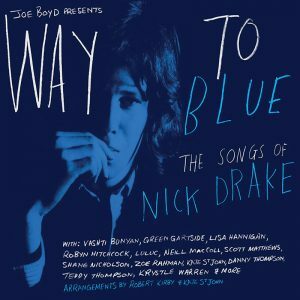 Glen performs “Place to Be” at Nick Drake tribute concert curated by legendary producer Joe Boyd in Birmingham, UK. Glen curates a night as part of the Imagining Home show at the National Concert Hall in Dublin for the 1916 Commemoration. Read more here. Glen performs “Ashes to Ashes” outside David Bowie’s apartment upon hearing of his passing. Read about it in Rolling Stone. 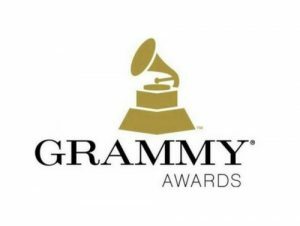 Didn’t He Ramble is nominated for a GRAMMY Award for Best Folk Album. 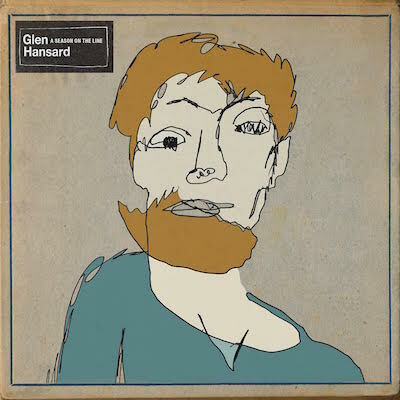 Glen enters a studio in New York City to finish work on the follow up to Rhythm and Repose, poring thru 20 songs, he decides on 10 that will become his newest record, Didn’t He Ramble. 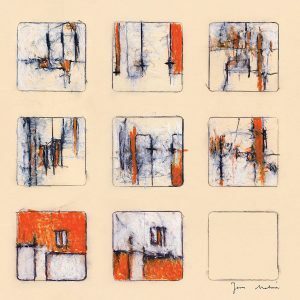 Glen releases a tribute EP It Was Triumph We Once Proposed, to his late friend Jason Molina, who recorded as Songs:Ohia. This EP features five cover songs, with proceeds going to Jason’s estate. Glen appears on the Late Show with David Letterman to perform “Being in Love”, a song from the EP, with original members of Songs:Ohia. Glen embarks on a tour of the Southern US with a small band line up that includes Thomas Bartlett, Brad Albetta, and Rob Moose. 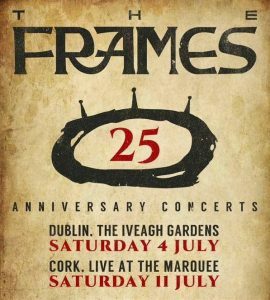 The Frames mark their 25th Anniversary with the announcement of three shows in Ireland and a career retrospective release entitled Longitude. Both take place in July 2015. 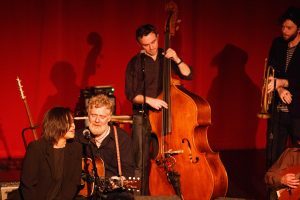 The Swell Season hold 2 performances in Seoul, Korea at the Sejong Grand Theatre. 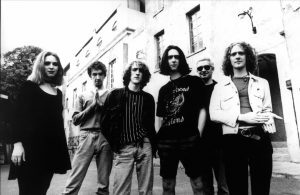 The band featured Glen, Markéta, Joseph Doyle, Graham Hopkins, Rob Bochnik and Rob Moose. Glen enters Black Box Studios in France to work with David Odlum to continue to work on his follow up to Rhythm & Repose. David was a member of The Frames for a number of years and helped helm what is considered by many to be their masterpiece, For The Birds. 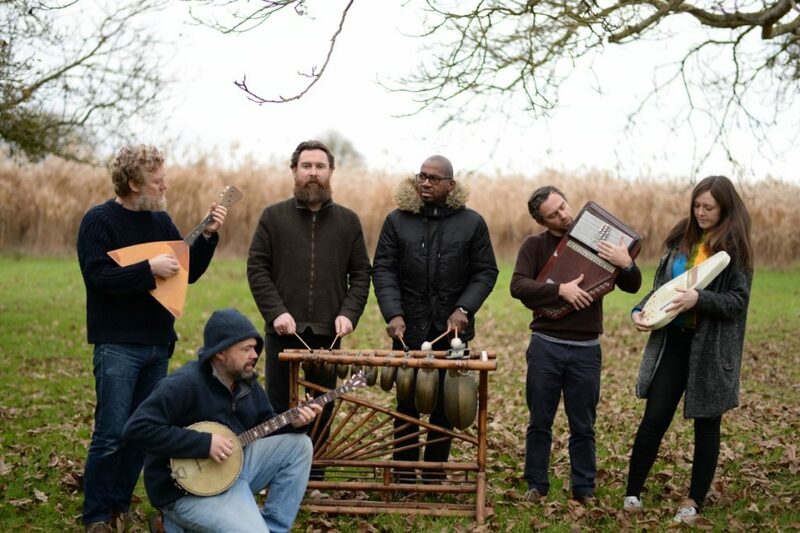 Joining them in France are drummer Earl Harvin and The Frames bassist Joseph Doyle. 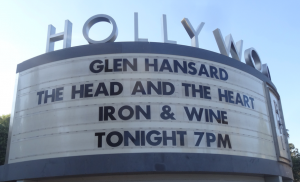 Glen headlines The Hollywood Bowl and performs at Lollapalooza. These shows mark the end of the ‘big band’shows he’s been performing since the release of Rhythm and Repose. 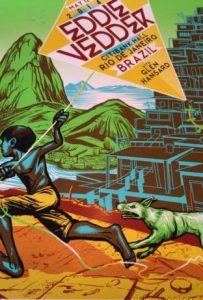 Glen tours South America with Eddie Vedder. 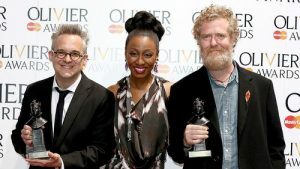 Glen wins the Olivier for Outstanding Achievement in Music for Once The Musical. Read about it on RTÉ. 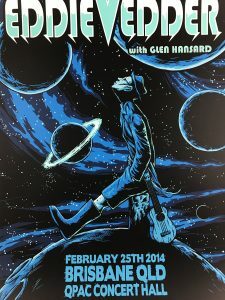 Glen tours Australia with Eddie Vedder. 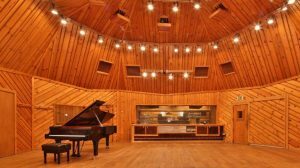 Glen enters Avatar Studios in New York City for additional recording with Brian Blade, Jon Cowherd, Marvin Sewell, Chris Thomas, and Jeff Haynes. Glen begins work on his follow up to Rhythm and Repose, recording at The Loft in Chicago. 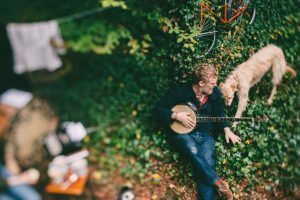 The band for this session is his touring band and includes – Robert Bochnik, Joseph Doyle, Graham Hopkins, Justin Carroll, Michael Buckley, Curtis Fowlkes, and Ronan Dooney. 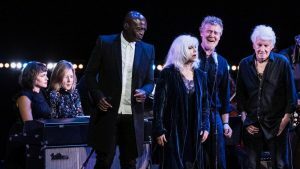 Glen performs in Toronto at Joni Mitchell’s 70th birthday celebration, along with Rufus Wainwright, Herbie Hancock, Esperanza Spaulding, and Joni herself. Glen appears on the CBS Sunday Morning television program, interviewed by Anthony Mason. 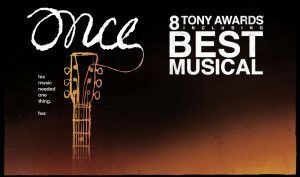 The cast recording from Once The Musical entitled Once: A New Musical wins a GRAMMY for Best Musical Theater Album. Glen makes a guest appearance on an episode of the TV series Parenthood, playing himself. In the episode, “Trouble in Candyland”, he performs “High Hope”, a single from his solo debut Rhythm and Repose. 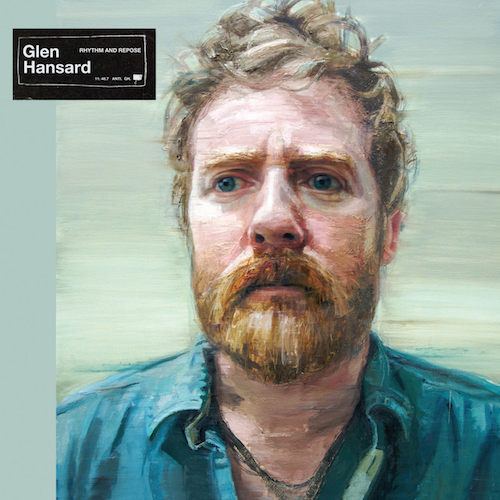 Glen releases his first solo studio album, Rhythm and Repose, on Anti. Touring commences with the release and runs close to two years, covering the US, Canada, South America, Europe, Australia, and Asia. Once The Musical debuts on Broadway at the Bernard B Jacobs Theatre. The production receives eleven Tony Award nominations, winning eight, including Best Musical. It also wins the Drama League Award for Distinguished Production of a Musical for 2011-12. The production plays 1,167 regular performances and 22 previews by closing time. The touring company continues to be successful nationwide. 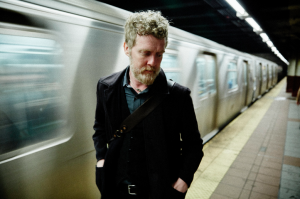 The Frames: In The Deep Shade is a feature length film about The Frames by Conor Masterson. 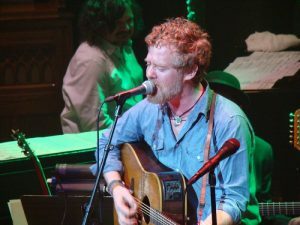 Conor worked closely with the band over 18 months, beginning on their 20th anniversary tour in 2010. It premiered at the Jameson Dublin Ireland Film Festival on 17 February, 2012. 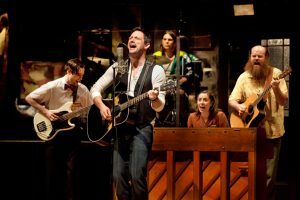 Once The Musical premiered in a workshop at the American Repertory Theatre in Cambridge, MA, in April 2011, before its transfer to New York Theatre Workshop where it made its Off-Broadway debut on 6 December. Under the direction of John Tiffany, the original cast was led by Steve Kazee and Cristin Milioti as Guy and Girl, respectively. The production was nominated for Lucille Lortel Awards for Outstanding Musical, Outstanding Director, Outstanding Choreographer, Outstanding Scenic Design (Bob Crowley), Outstanding Lighting Design (Natasha Katz), Outstanding Sound Design (Clive Goodwin), and Outstanding Lead Actress. The production won the New York Drama Critics’ Circle Award for Best Musical. 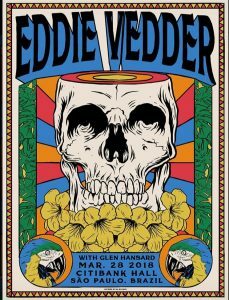 Glen joins Eddie Vedder on his American solo tour in support of Vedder’s album Ukulele Songs. Glen sings on the track “Sleepless Nights”. 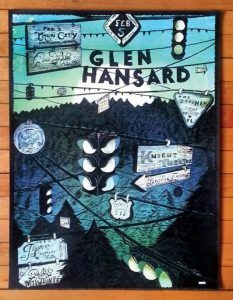 Glen plays a number of solo concerts, including the opening of New York’s Metropolitan Museum of Art Guitar Heroes exhibit in May and on Cape Cod at the Cape Cinema on 17 June. On September 3 and 4, he plays at Pearl Jam’s 20th Anniversary Festival PJ20 at the Alpine Valley Theatre outside of East Troy, Wisconsin. 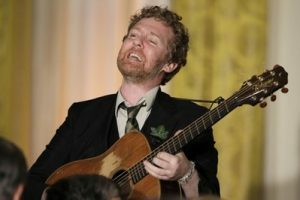 Glen performs on St. Patrick’s Day at The White House for President Obama, Vice President Biden and Irish PM Enda Kenny. 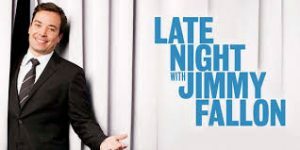 The Frames perform “Revelate” on Late Night with Jimmy Fallon on the eve of their 20th anniversary tour in the US. 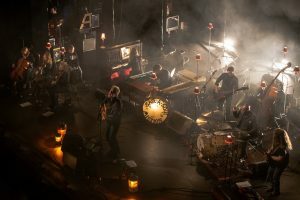 The Swell Season embark on a world tour that will run through to 2010 with the last show performed in Iceland in December of 2010. 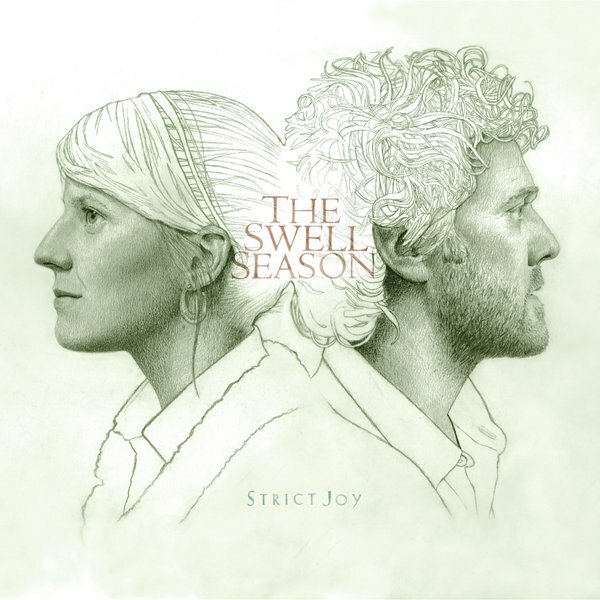 A new album of original songs called Strict Joy recorded by Glen & Markéta as The Swell Season is released in Ireland on Plateau Records & worldwide on ANTI on October 27, 2009. Glen and Markéta voice characters on an episode of the 20th season of The Simpsons (“In the Name of the Grandfather”) based on their roles in Once. 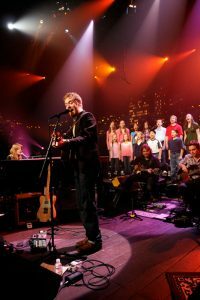 The Swell Season perform on the 34th season of Austin City Limits. They are joined by local musician Daniel Johnston and the Conspirare Youth Choir. 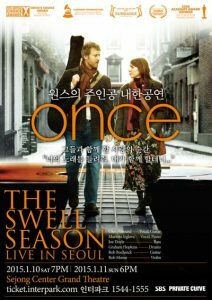 Glen and Markéta win the Academy Award for Best Original Song for “Falling Slowly” from the Once: Music From The Motion Picture. 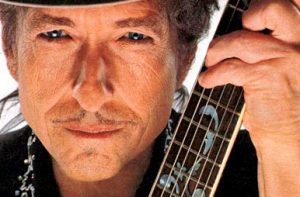 The Frames are chosen by Bob Dylan to open for him at his performances in Australia and New Zealand. 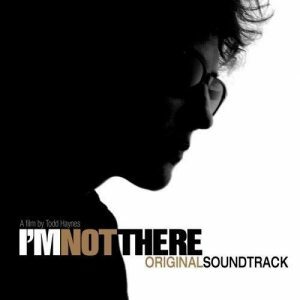 Glen and Markéta Irglová record a version of Bob Dylan’s “You Ain’t Goin’ Nowhere” for the film I’m Not There. 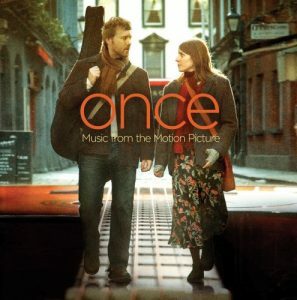 Once – Music From The Motion Picture is released, going on to be nominated for two 2008 Grammy Awards: Best Compilation Soundtrack Album for a Motion Picture, Television or Other Visual Media and for “Falling Slowly” as Best Song Written for Motion Picture, Television or Other Visual Media. It wins the Los Angeles Film Critics Association Award for Best Music and is later ranked at number two on the Entertainment Weekly 25 New Classic Soundtrack Albums list (1983-2008). 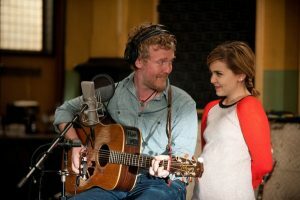 ‘Once’ has its American premiere at the Sundance Film Fesitval and receives the Festival’s World Cinema Audience Award. The film is picked up by Fox Searchlight for distribution. 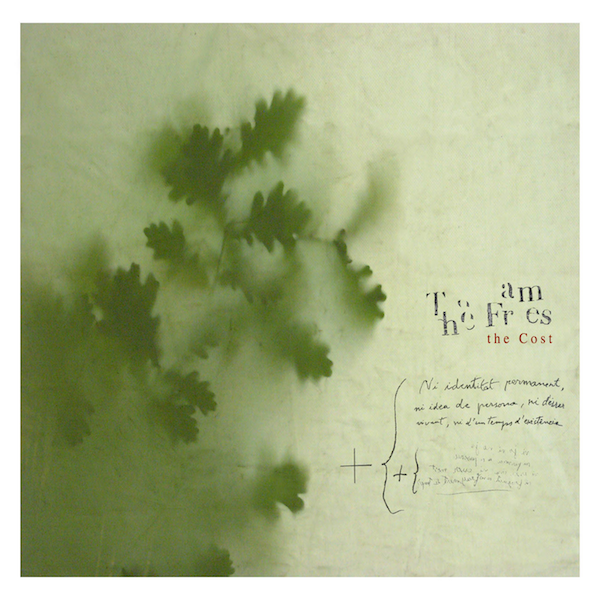 The Cost is The Frames’ sixth studio album, released on Plateau Records in Ireland on September 20, 2006 and worldwide on ANTI in February 2007. 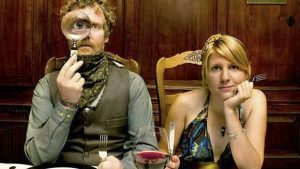 It features “Falling Slowly” and “When Your Mind’s Made Up” both of which appeared on the album The Swell Season released earlier in the year. The Frames perform during the day at the 11th Lollapalooza Festival. 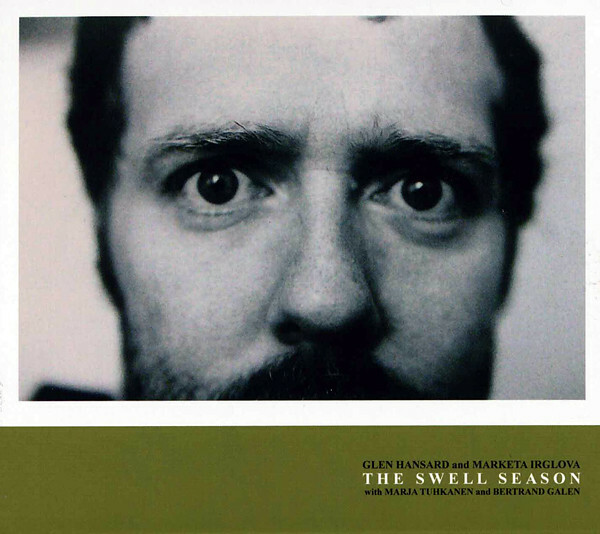 Glen releases his first album without The Frames, The Swell Season, on Overcoat Recordings in collaboration with Czech singer and multi-instrumentalist Markéta Irglová. It features a mix of songs from the movie and some that did not make the cut. Glen is asked to star in a film after actor Cillian Murphy drops out. The film, entitled Busker, is directed by former Frames bassist, John Carney. Glen has already contrib­uted songs for the film and helped secure friend Markéta lrglová as the female lead. The film is retitled Once, in which Glen plays a Dublin busker and Markéta an immigrant street vendor. 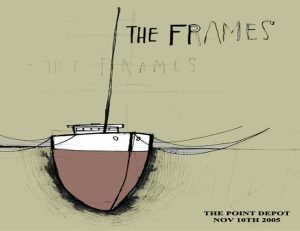 The Frames play a headlining gig at The Point Depot in Dublin. 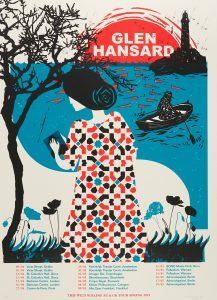 Damien Rice & Lisa Hannigan support. The Frames perform “Finally” on the Carson Daly show. The Frames host a Halloween Ball at the Mansion House in Dublin. The show is broadcast on RTÉ Two. 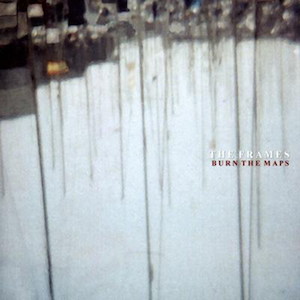 Burn The Maps is The Frames’ fifth studio album, released on Plateau Records in Ireland on Sept 17, 2004 and going to #1 on the Irish Charts. The songs “Fake”, “Finally” & “Sideways Down” became their highest charting hits, reaching 4, 6, and 10 respectively. 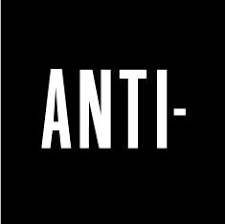 The album was released worldwide on ANTI in February 2005. 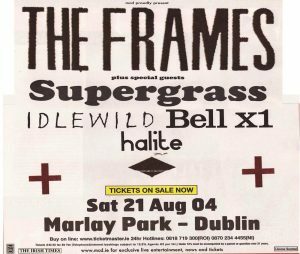 The gig also features Supergrass, Idelwild, Bell X1, & Halite. 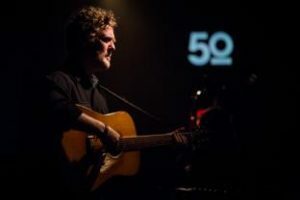 Glen presents the inaugural season of the television program Other Voices: Songs from a Room, which showcased Irish music talent on RTÉ. This episode was recorded on December 10, 2003 in St. James’ Church, Dingle, Co. Kerry, Ireland and broadcast on RTÉ March 30, 2004. The Frames sign with Anti Records, establishing a long standing relationship with the label. 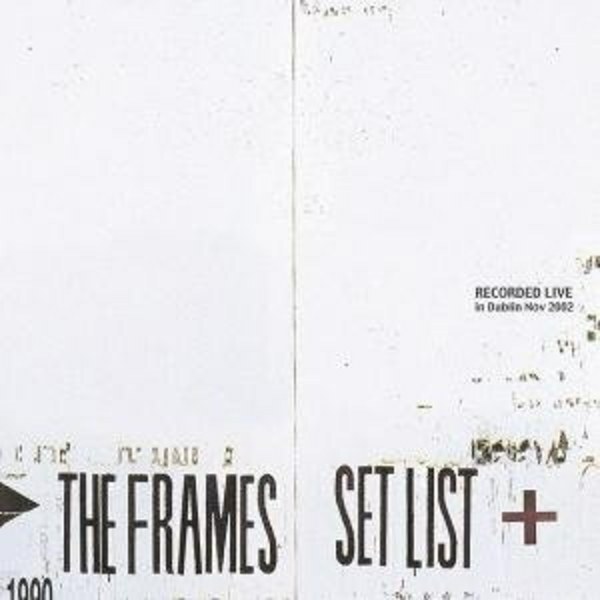 The Frames’ Set List was released in May 2003 on Plateau Records. Recorded live at Dublin’s Vicar Street in November 2002, it reached #1 on the Irish Charts. 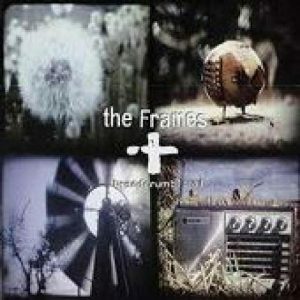 The Frames’ live album Breadcrumb Trail is released June 1, 2002 on Plateau Records in Ireland and Indies Records in the Czech Republic. It was recorded in Stará Pekárna, Brno in the Czech Republic. The Frames perform their song “God Bless Mom” on the Hot Press Awards. The Frames perform at the Witnness Festival in Ratouth, Ireland. It’s their largest crowd to date. The Waterboys join them on stage for “Be My Enemy”. 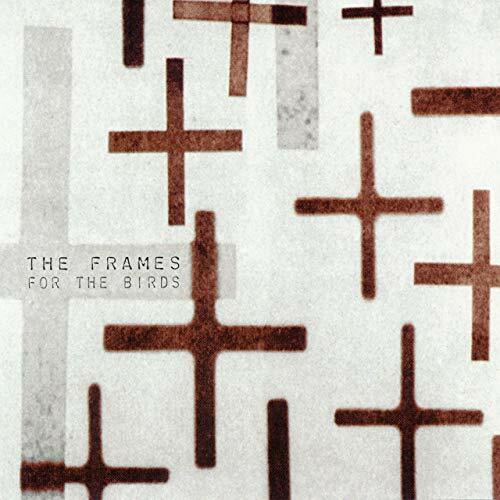 For The Birds is The Frames’ fourth studio album, released on the band’s own independent label Plateau Records on 2 April 2001 in Ireland. The album was released later in the year in the US. The Frames play the coffeeshop Uncommon Ground in Chicago, a city they adopt as a second home of sorts. This is “The Dancer”. 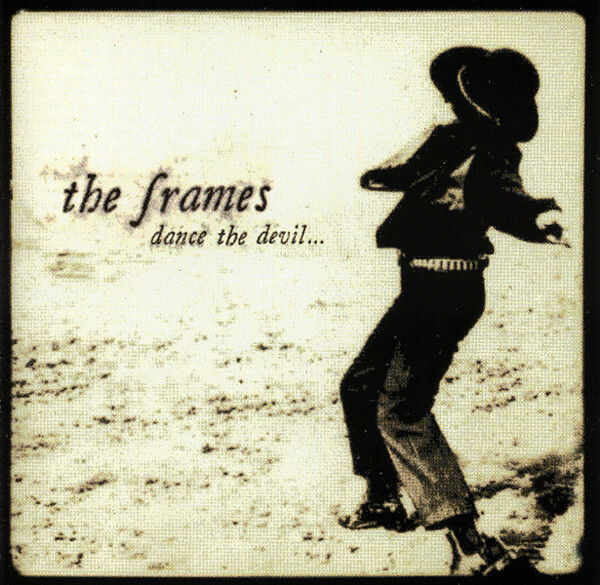 Dance The Devil is The Frames’ third studio album, released on ZTT Records on 25 June 1999 in Ireland, followed shortly after with releases in the UK & the US. 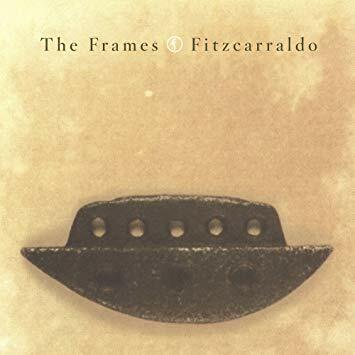 Fitzcarraldo is The Frames’ second studio album, released on ZTT Records on 29 October 1996. 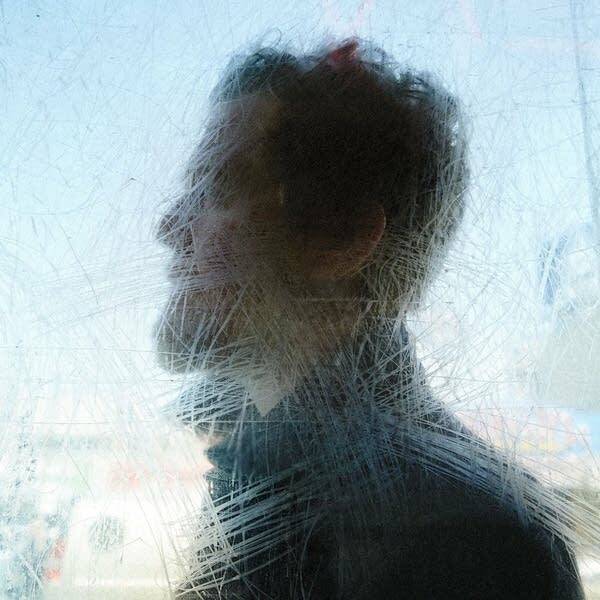 The Frames perform “Fitzcarraldo” & “Angel At My Table” on the No Disco Acoustic Room Sessions. 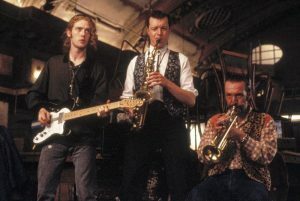 Glen garners international attention as guitar player Outspan Foster in the Alan Parker film The Commitments. 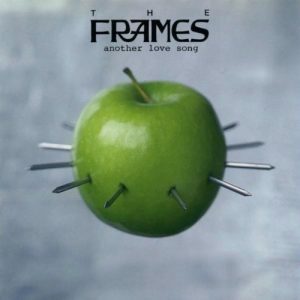 Another Love Song is The Frames’ first studio album, released on Island Records in 1991. 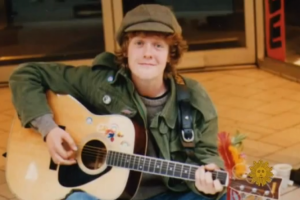 Glen quits school at age 13 to begin busking on local Dublin streets.